Just when we think identity theft will be over after we die, we read about news of deceased identity theft cases. But logically speaking, if a dead person’s identity can be stolen to commit fraud, it’s even better than stealing a living person’s identity because dead people don’t monitor their identities and don’t complain. Unfortunately, dead people have to rely on their family members or friends to report their death to the authorities, agencies and businesses in a timely manner. And if their loved ones fail to report their status, well, that’s when deceased identity theft can occur. 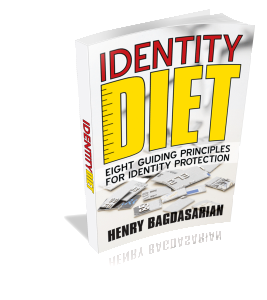 Identity thieves are always looking for ways to commit fraud using another person’s identity, dead or alive. It almost sounds like the Wild Wild West, but it is. In order to prevent deceased identity theft, we must report the death promptly to all appropriate parties and share any information about our deceased loved one with caution. The point is to report the death and not share more information than we have to. Fraudsters sometimes collide with internal sources where the opportunities are such as at the funeral homes and therefore, sharing less information can make their tasks a little more difficult as they might have to do extra digging for additional information to steal the identities of dead people. For example, when you complete the obituary notice, just stick to the person’s age and year of birth. Don’t include other information such as home address, phone number or the exact date of birth including the month and day. The funeral homes are expected to report all deaths to the Social Security Administration (SSA). However, it’s always a good idea to contact the SSA and make sure the death was reported. Also, make sure that you contact all 3 credit bureaus and report the death. The death information is usually shared with the consumer credit bureaus using the SSA database, but because there could be delays in the reporting process, it’s always better to report the death immediately to avoid deceased identity theft. You can write a letter to communicate the death to all three major credit bureaus and also request a copy of the dead person’s credit report. Usually, such requests must come from a spouse and include the Social Security number of the deceased while accompanied by a copy of the death certificate. If the spouse is unable to report, the dead person’s attorney or the executor can also report the death however; the death of a person must be validated with the appropriate documentation. To the extent of your knowledge, all government issued documents such as passport, driver’s license, and titles must also be closed or transferred. In addition, all membership accounts such as library and gym membership, as well as utilities, financial, insurance, and online accounts must also be closed. Return to the Home page from deceased identity theft article.